If you are considering getting a smart door lock and have seen Simeon Tuitt videos of his own, get your questions answered before buying one. A smart lock is going to be your first line of defence protecting your home, don't grab any smart lock blindly without getting all your questions answered. Simeon Tuitt uses a smart lock on his home daily and has it integrated in ways that are not taught by the manufacturers. So you are likely to have questions they simply can't answer, so ask someone who uses a smart lock daily. 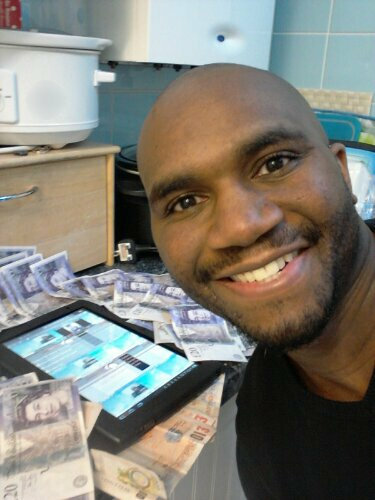 Get up to 30 minutes of online chat time with smart home consultant Simeon Tuitt by MESSENGER or SKYPE. If you need to replace a cylinder lock due to a lost key it will cost you £70 or more. If you need to wait in for someone to come out and fix a machine like the washing machine, fridge or dryer you will lose a days wages at work. If you rent property and tenants lose their keys, you will have to spend £70 each time having the cylinder lock replaced and have to take time off work to wait in for the lock smith. So a smart lock is something you should consider installing on your home or property, especially if you currently leave a key outside your home in case you get locked out. Now get your questions answered about the smart lock I use daily and place my trust in to not only protect my smart home, but to let me in when I arrive home. Above you can see what happens when a new visitor visits my home, they are greeted like you've seen shown in movies. When my front door is opened I have it set so my smart lock tells me on my mobile, this is something I taught myself to do, it isn't something I learned from my smart lock purchase instructions. You can now see from my videos above why I charge for my smart home consultation services and why I won't be just telling you all about my smart lock and what you need to know for FREE.